All the sleepless nights that I survived when my son was born absolutely transformed my face…and not in a good way. 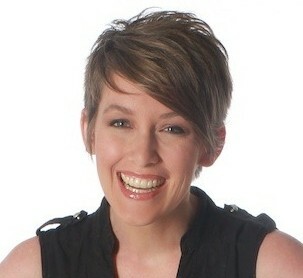 Worry wrinkles, dark circles under the eyes, laugh lines—it’s all begun to show. Only in the last few years have I really had a regular nighttime beauty regimen, which consists mostly of natural products that I can find in my kitchen, like this homemade blackhead remover, sugar lip scrub and this turmeric face mask. My favorite natural beauty combination is coffee and coconut oil. Why these ingredients? 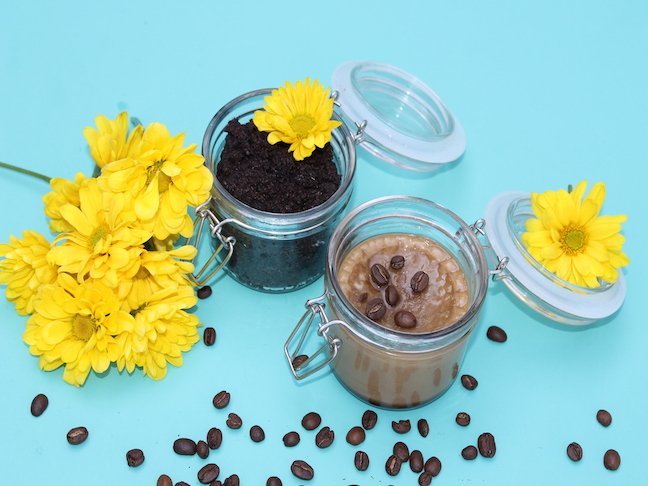 Coffee is an anti-inflammatory and an antioxidant that promotes bright and soft skin. The caffeine in the coffee shrinks the blood vessels under the eyes, reducing the dark circles and puffiness. Coconut oil moisturizes and deeply penetrates the skin. It’s pure heaven! 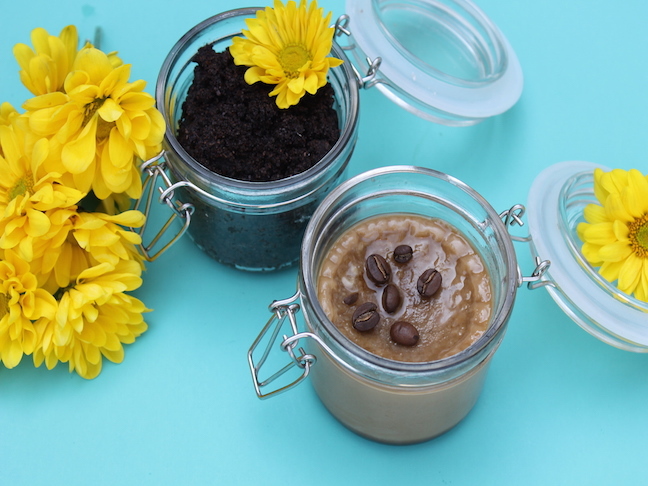 This DIY project lets you make both a dark circle under eye cream and an exfoliant. 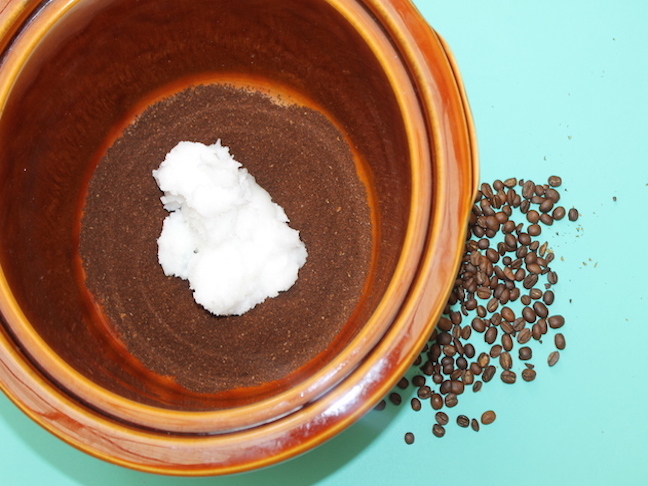 Step 1: Put 1 cup of coconut oil and 1 cup of coffee grounds in a slow cooker. Step 2: Set it to medium for 6-8 hours. Then let it cool. Step 3: Overlap cheesecloth on top of itself so it’s 5 layers thick and square. Then use a rubber band to wrap it over a Mason jar. 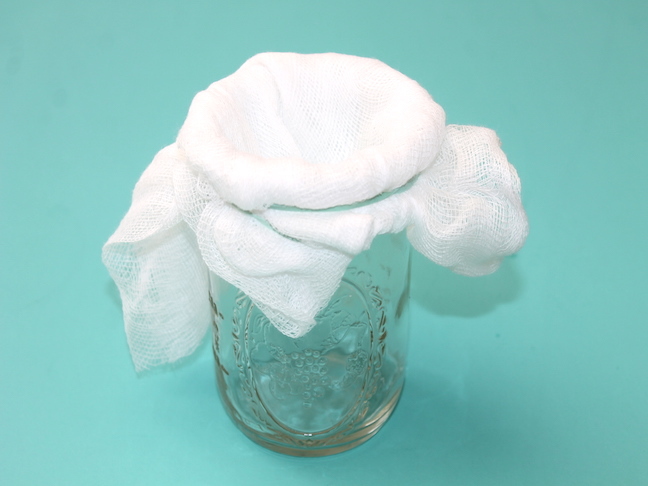 Make sure you create a dip into the cheesecloth so your coffee/coconut oil mixture can fit in it. Step 4: Scoop your mixture onto the cheesecloth and let it sit there for 30 minutes or so until the oil drips out. 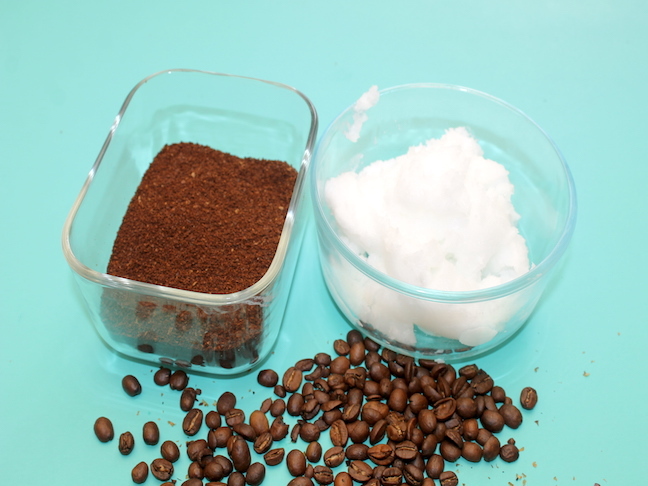 Step 5: Pour your coffee infused coconut oil into a sealable glass jar, then place in the refrigerator until it hardens. This is your eye cream. 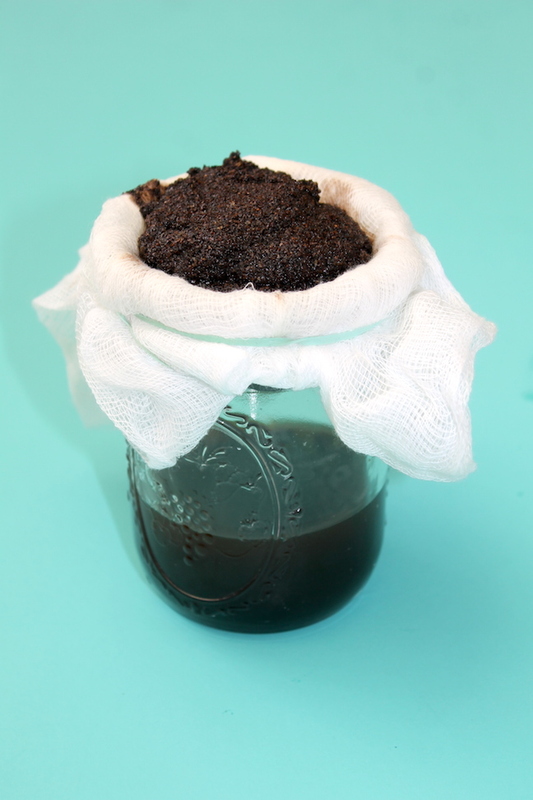 Step 6: Take the leftover coffee grounds and place them in a second sealable glass jar. This is your exfoliant. Coffee eye cream: Before bed, after you wash your face, spread some of the cream under your eyes (or all over your face) with your finger.